The following graphic gives an overview of how Wotscore works. Note for all competitions only step 5 is necessary for a player. For challenge based competitions like a leap-frog ladder then steps 1, 3 & 5 are necessary. A ladder allows an arbritrary number of players who usually play regularly together to enter their results in a scoring table called a ladder. The ladder can last indefinitely and as players win they move up the table. The admin can rerank the players and change the results at any time. At Wotscore there are only 3 steps to establishing and playing a game with a fellow ladder player. These are challenging a player, accepting a challenge, and entering results. Please read the following which gives a brief tour of some of the features of the ladder. Then try the player demo. If you intend to run a competition and have seen the player demo then take the administrators demo. There are also some demo movies specifically for admins on our facebook page. In the screenshot below of a squash ladder with 4 players, Mary Green has signed in and entered the ladder and is able to challenge the 3 players above her (by clicking the green C for challenge round button). Note on the right you can see she has also previously cancelled a squash challenge with Bob, and she can see other active challenges in the ladder. Some ladders are set up with the auto challenge on. This means if you dont challenge anyone within a given time (usually a few weeks), wotscore may create a challenge for you. Once you have a challenge or fixture, its not always easy to find a time you are both free to play a match. You can suggest up to 3 slots when you are free and see if your opponent accepts one. 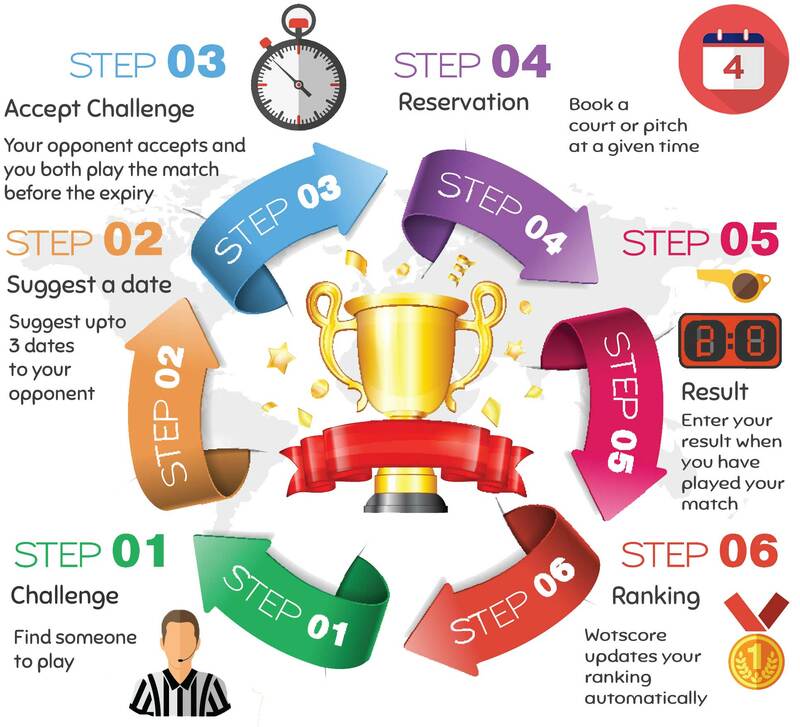 This will synchonise both your free times, and any matches currently booked for the competition by other players. The expiry duration is set by the ladder admin on the Edit ladder page. 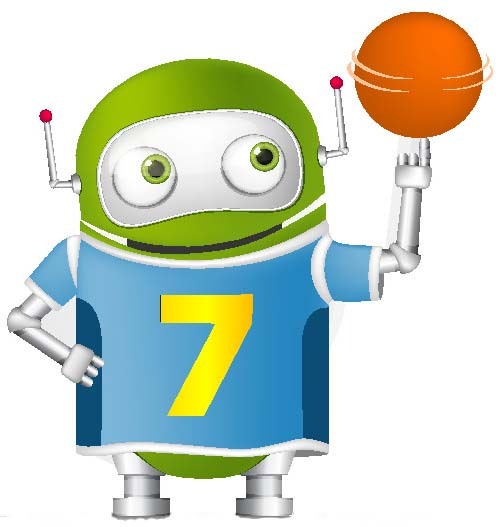 Wotscore will handle the expiry automatically warning the players a few days beforehand via email of the approaching expiry and then causing the defender to lose the game if it is not played and the results recorded within the expiry period. If your opponent has suggested some match dates, you will have the option to select a date, or choose to ignore the dates. You have the option to book a date and change it if needbe at any time. If you or your opponent are unable to play for whatever reason, either of you can cancel the challenge using the cancel button in the top right of the challenge. Obviously this should be used in the spirit of the competition. Once a challenge is accepted, it is up to the players to arrange a squash match together and enter their results. Clicking on a name will reveal the players contact details as shown in the case of Mary below. Here Bob is logged in and has accepted Marys challenge. He can enter the results of his game by clicking the R button and either move up or down the ladder dependent on whether he won or lost the game. The list of matches will be shown in the events timeline. Note a similar process takes place for leagues. Leagues deal with fixtures instead of challenges. Fixtures are automatically created once a season begins. The players can then record a result at any time. A black R button is for entering results without a challenge, and only for players below you on the table. In summary, the onus is on the higher ranked player Andy to arrange or accept booking, otherwise Bob will win with a forfeit or walkover. If Andy has taken reasonable steps to arrange a match and a booking is never made, he may enter a walkover in the last days of the expiry, or notify the admin as an adjudicator. A league is a ranking structure that allows for players to compete against each other on a set schedule, usually called a "season" or "round". A league is typically split into divisions of 4 to 12 players where every player plays every other player in their division before the league season ends. 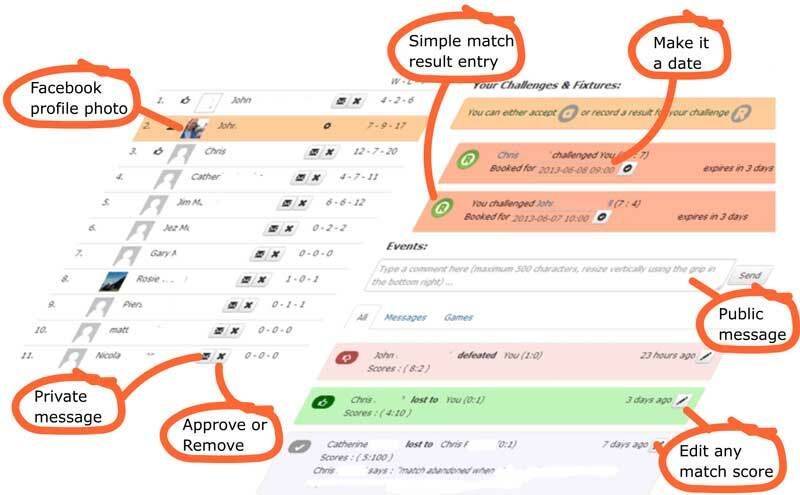 For every played match a player is rewarded League Points depending on the results and how the administrator has configured the league settings. In a new league the administrator invites the players and splits the league into divisions using drag and drop. The admin will have to use his best assessment to place players of similar level in the same division. The admin can move the players when the league is registering (i.e. before the season starts). The admin can also setup up the type of points used for the sport and award bonus points to encourage players to play their games. Once the league is started every league player sees fixtures they are supposed to play before the season ends. Fixtures show contact details of your opponents. For every match a player is awarded points as the admin has configured them. Following every match either of the players involved enters the result. Here, the team TownShire FC have entered their first result, a 4:3 win against TallHill Athletic. The match earned them 3 League Points for the win. When a league season reaches the end day or the administrator closes the season early, unplayed fixtures are expired and entering results is no longer possible. In the next season, the best players in every division (except 1st) with the highest league points automatically move to a higher division to replace the players with the lowest number of points. It is the admin who configures the size of the promotion and relegation zone. Only the basic commands are available to integrate with Wotscore. Setting up bookings and reservations are not possible within slack and must be done on wotscore.com. However arranging who to play and recording scores is available. Challenge and Accept can optionally be followed by a name. This can be a player's firstname, however if multiple people share the first name you will have to supply a full name (e.g. '/challenge John' or '/challenge John Smith'). You can also supply the slack username (e.g. '/challenge @jonny'). If the slack username does not work, your competition administrator might need to resynchronise with slack, or failing that contact us to resolve the problem. If you don't supply a name and just issue the challenge command, and there are multiple available players, you will be presented with a drop down allowing you to choose a player. The accept command works in a similar way but only for your challenges. If you don't specifiy a name and you have more than one challenge, a drop down will appear allowing you to accept a match with a player and optionally a date time. To record a match enter the score after the /record command. The score must be the correct format, a space between each game and a colon between each number. The player's score who initiated the challenge should be first. So for John vs James, the command /record 11:9 8:11 11:7 will result in a score of 2-1 to John. You will be given the chance to check the score, if it doesn't look correct just issue the command again. If there are multiple matches, then again a dropdown will appear allowing you to choose which match to record a score against.